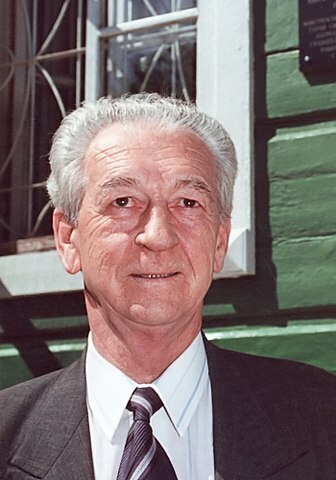 G. Neujmin discovered asteroid #1255 Schilowa. C. Jackson discovered asteroid #1949 Messina. The first test run was performed on the Supersonic Military Air Research Track (SMART), a 12,000 foot track for rocket propelled sleds at Hurricane, Utah. The first spherical rocket motor, a 10 inch diameter motor with spin stabilization, was launched from Wallops Island, Virginia. 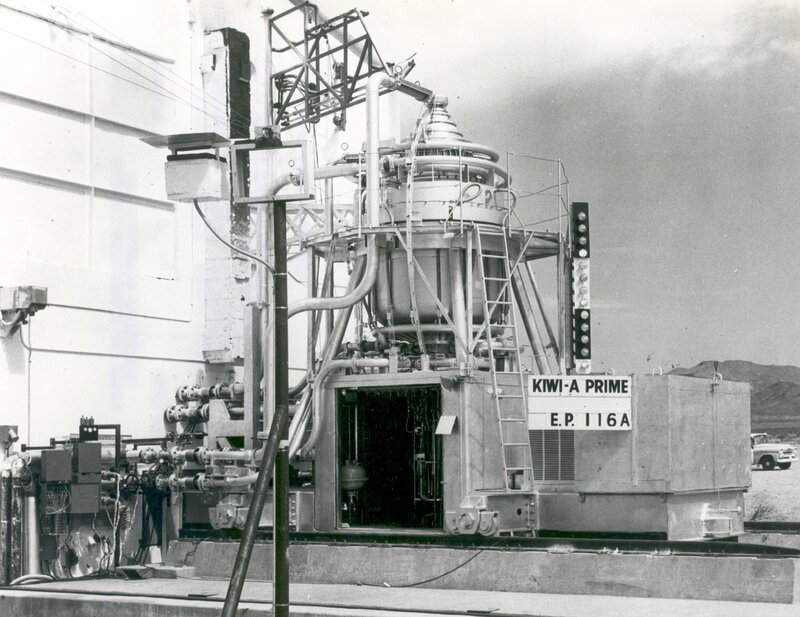 The second experimental reactor (Kiwi-A Prime) in the Project Rover nuclear rocket program was successfully tested at full power and duration at Jackass Flats, Nevada. NASA and the US Air Force launched X-15A Horizon Scan/MH-96 test mission # 111 in which Joe Engle reached a maximum speed of 5665 kph (Mach 5.05) and a maximum altitude of 51.938 km. The flight was the first test of an infrared (IR) horizon scanner. NASA and the USAF launched X-15A-2 ST,Landing,Alt test # 139 in which John McKay attained a maximum speed of 5889 kph (Mach 5.19), and a maximum altitude of 64.800 km in a star tracker mission to photograph Gamma Cassiopeia. NASA launched Explorer 44 (SOLRAD 10, Solar Explorer C) to collect solar radiation data. USSR launched the Molniya 2-13 communications satellite from Plesetsk for operation of the long-range telephone and telegraph radio communications system in the USSR, and transmission of television programs to stations in the Orbita network. The Indonesian Palapa 1 communications satellite was launched from Cape Canaveral, Florida, positioned in geosynchronous orbit over the Indian Ocean at 83 deg E in 1976-1986. Voyager 2 took the first photograph of Jupiter's satellite Adrastea (J15). An "Aerobie" flying ring became the object a human has thrown the farthest distance in the Earth's atmosphere at ground level without any velocity aiding feature, traveling 383 m (1,257 feet). During the 2h 3m Mir EO-11-1 EVA, Mir cosmonauts Aleksandr Viktorenko and Aleksandr Kaleri inspected the gyrodyne orientation flywheels. NASA launched STS 65 (Columbia 17, 63rd Shuttle mission) carrying the International Microgravity Laboratory to orbit on its second flight (IML-2). An Ariane 44L launched from Kourou carried the US Panamsat 2 and Japan Yuri 3N communications satellites to orbit, which were positioned in geosynchronous orbit at 169 deg E, and 109 deg E, respectively. Russia launched the Molniya 3-50 communications satellite from Plesetsk into a 12 hour operational orbit. 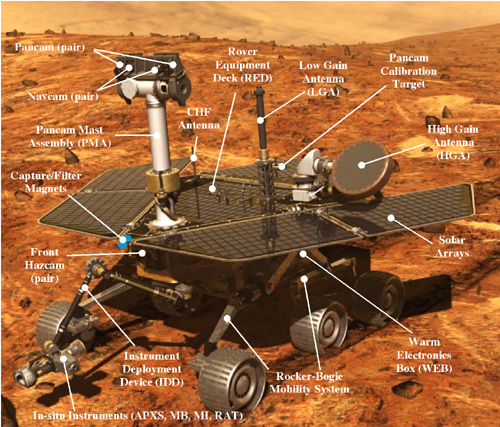 NASA launched MER-B (Opportunity) toward Mars, which arrived successfully on 25 January 2004 and began exploring its new home. A longer sequence of thrusters firings by NASA's ISEE3/ICE probe failed, apparently due to a loss of the nitrogen gas used to pressurize the fuel tanks.